The right agent can help you achieve targets for price, quality & lead time by finding suppliers and managing the supply chain on your behalf. This report will help you source safe, avoid scams and confirm that the terms of the deal are fair. Get this report before doing business in China. Are you looking for an affordable & seasoned China Business Advisor on your side? We have several approved and recommended providers. 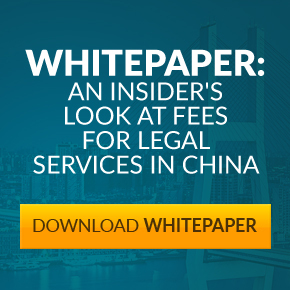 China-based, English speaking lawyers offer bilingual contract drafting, IP registration, dispute resolution as well as general legal counsel. Want to Keep Up To Date With China Sourcing and China Business Law?